YANGON, AFP: Weeks of fighting between ethnic Rakhine rebels and Myanmar’s military has driven thousands of civilians from their homes, the UN said, as conflict intensifies in a state already ravaged by violence against the Rohingya Muslim minority. The army led a crackdown against the Rohingya in western Rakhine state in 2017, justifying the violence as necessary to flush out militants from the stateless minority. Those operations prompted a mass exodus of Rohingya to Bangladesh. But that conflict largely overshadowed the army’s simmering fight with the Arakan Army (AA), who want greater autonomy for Rakhine’s Buddhist population in one of Myanmar’s poorest states. The UN’s humanitarian agency on January 1 said it was “concerned” by the recent surge in violence which has displaced around 2,500 people “who are sheltering in monasteries and other communal spaces”. The rebels accuse the military, known in Myanmar as the Tatmadaw, of deploying heavy artillery against villagers. “People are trapped by the fighting,” a spokesman for the Arakan Army Khine Thukha told AFP, accusing the army of commandeering churches, schools and monasteries. There have been a flurry of murky, unclaimed attacks and murders in the past two weeks in northern Rakhine, which remains deeply fractured along ethnic and religious lines. 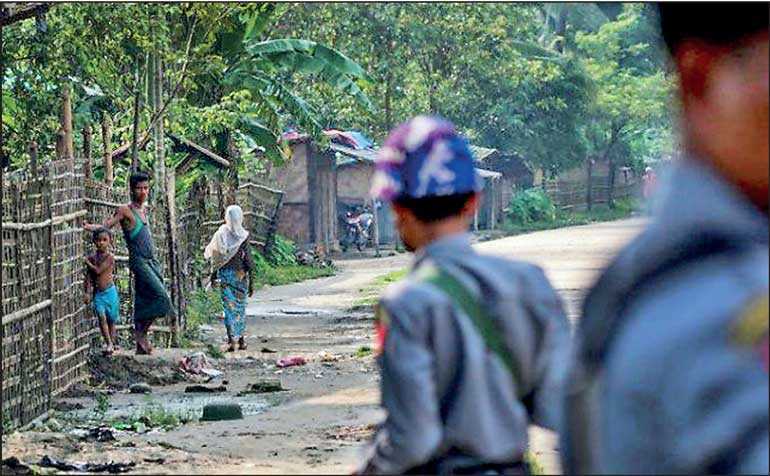 A policeman was murdered in an ambush by unknown assailants near the Bangladesh border, while two ethnic Rakhine were found with their throats slit, prompting the army to launch localised “clearance operations”. This week a remote-controlled mine attack hit a convoy carrying the western territory’s chief minister, who escaped unharmed. Rakhine state was notably side-lined in an unexpected unilateral ceasefire announced by the military in December that only covered conflicts in the northeast of the country. The AA said the army was using the truce elsewhere to focus efforts on Rakhine, a theory Min Zaw Oo from the Myanmar Institute for Peace and Security dismissed as “not very plausible”. No troop redeployments had yet taken place, he said, adding that the aim of the military offensive was to prevent the militants gaining a foothold in Rakhine.